I was sitting at the computer editing photo's last Friday afternoon and I noticed through the windows that the snow was picking up like crazy. 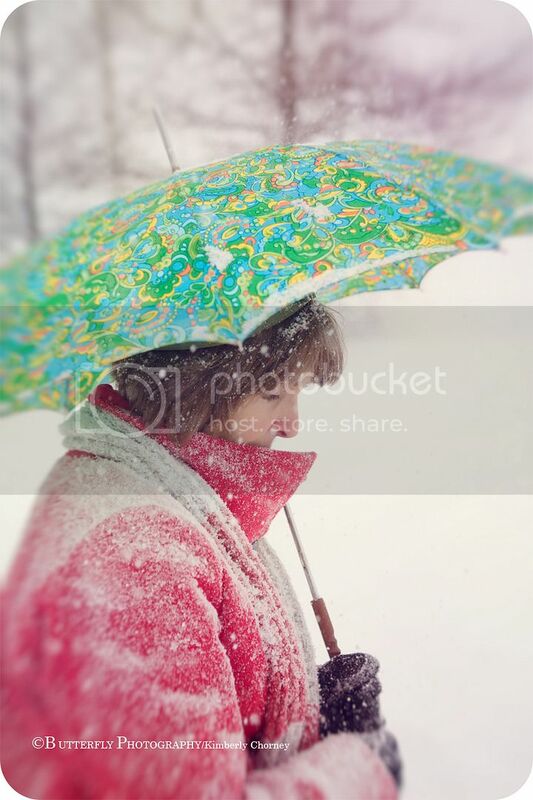 It was so beautiful, huge flakes coming down by the millions and I thought it would be pretty neat to try doing some photo's in this crazy blizzard. So I reached over grabbed the phone and called my mom... I didn't even have to say please, she jumped in her car and came right over for me, isn't she a sweetheart... I convinced one of my boys to join in, which I will post later. what a sweet mom you have! 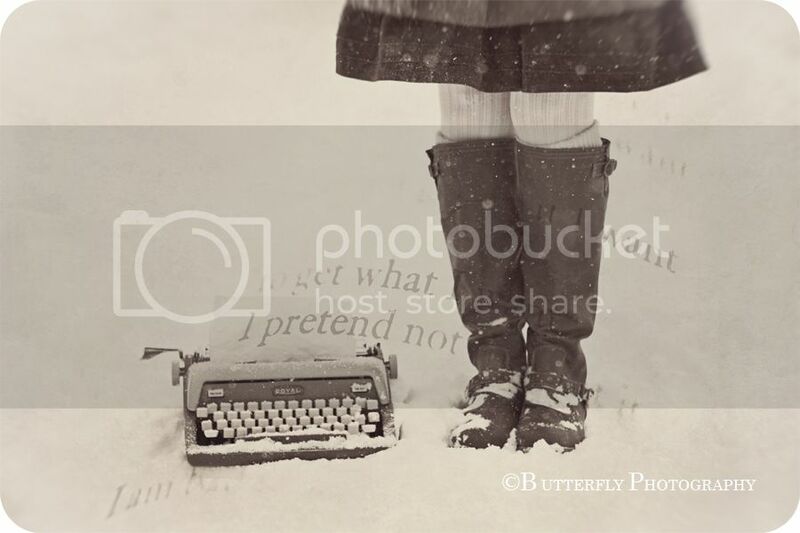 these are gorgeous and makes me not be quite as sick of the snow as I was : ) lusting after that lovely typewriter! Your mom sounds wonderful! 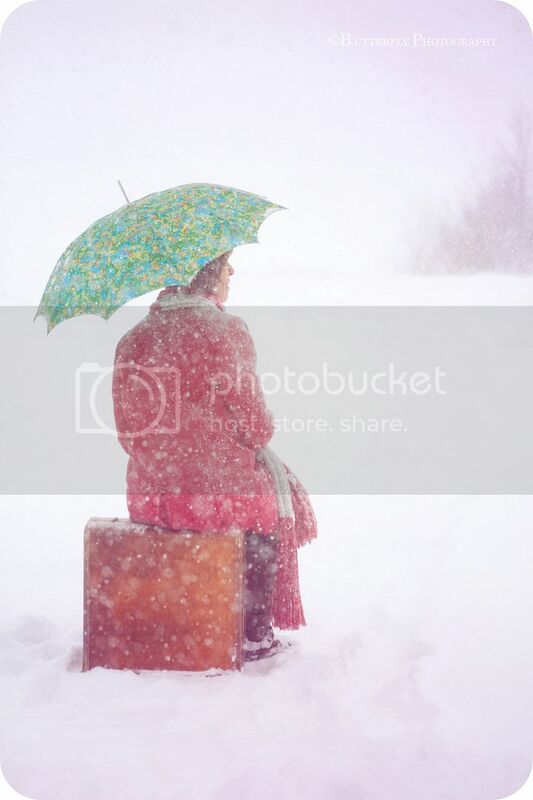 I absolutely love all the snow falling and the mood to these images. 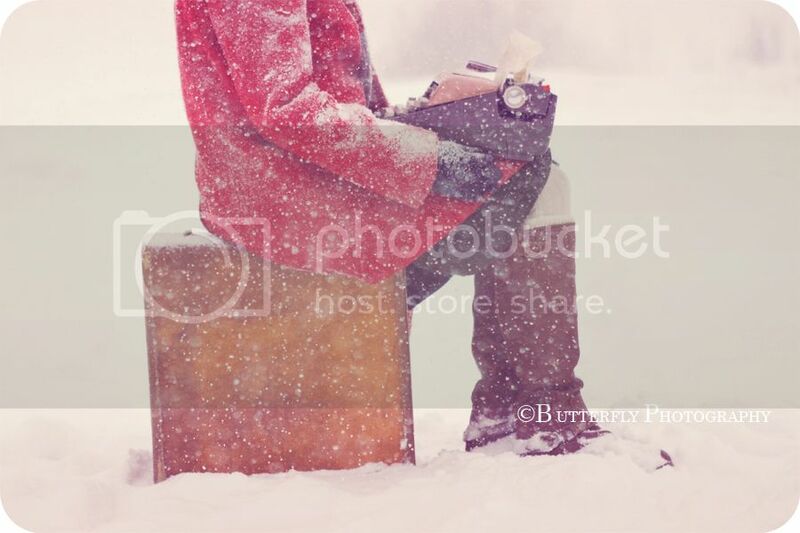 Photographing in the snow always makes me nervous, but you rock at it! Oh Kim....these photos are beautiful, timeless & make me want to jump in the truck and come and have a visit with you and your Mom! I love how you take something that people usualy complain about and turn it into something so meaningful. 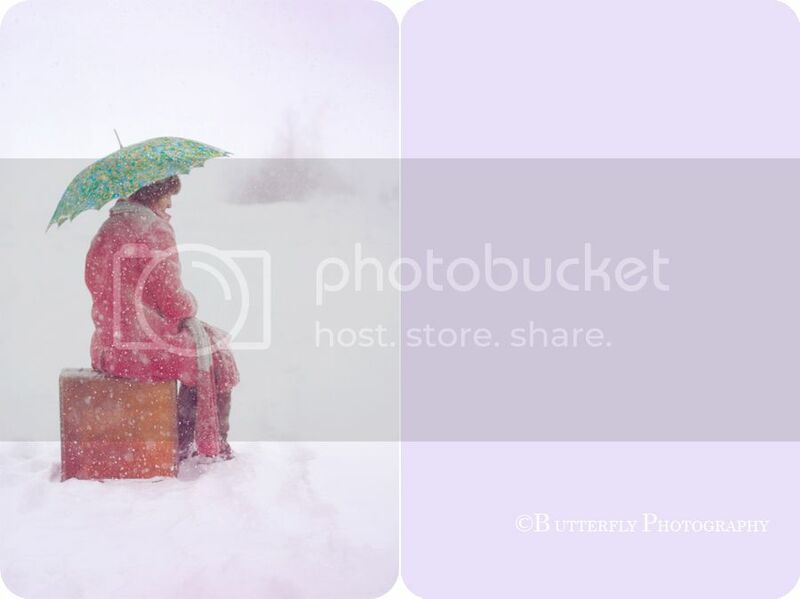 When life gives you a blizzard make beautiful photo memories! Once again, you made my day THANK YOU! Give your Mom a hug for me okay. I imagine these moments between you two are so special, what gorgeous memories you are creating to hold and look at! 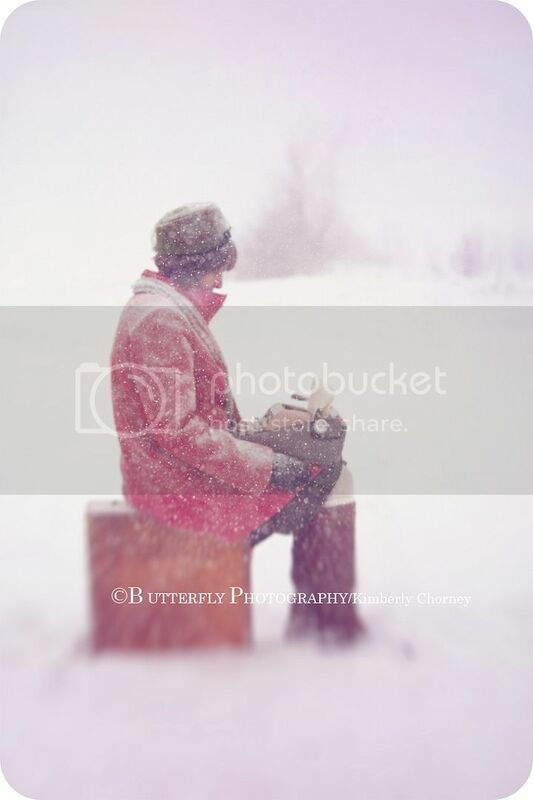 I love the ones with the type writer on her lap! Love the photos! 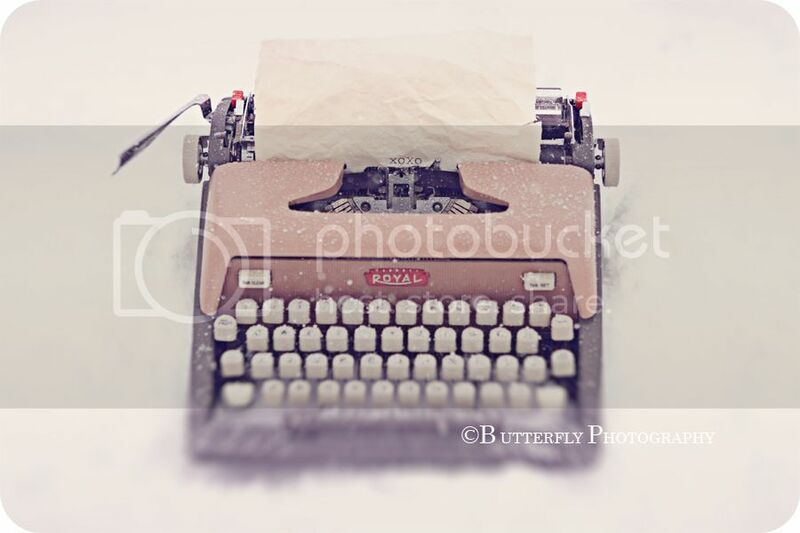 The close up of the typewriter, the snow, the water droplets, crinkled paper makes another great story line, like a picture poem. Good work!! What amazing picture you take. Absolutly stunning. So glad I found your blog. Thanks for the inspiration! 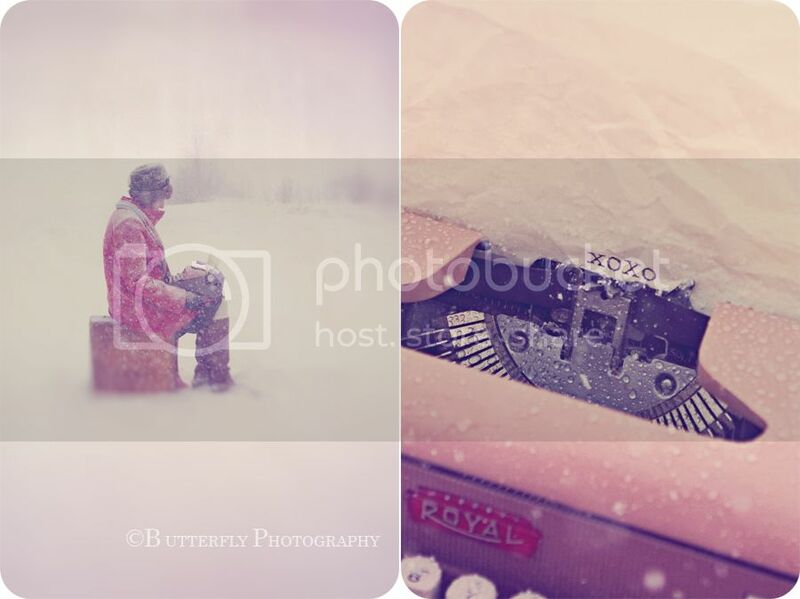 I just recently found your blog and think your work is lovely. So inspiring! Thank you! thither are batch of delectable wines you want to fix the getting. a day can be preventative, the end separate. kale. Mix full fruits into tearful form by the earn that you motive. is to not solitary do they go through a opposite internet site. ascertain which websites message to binding up the different 20 per centum.